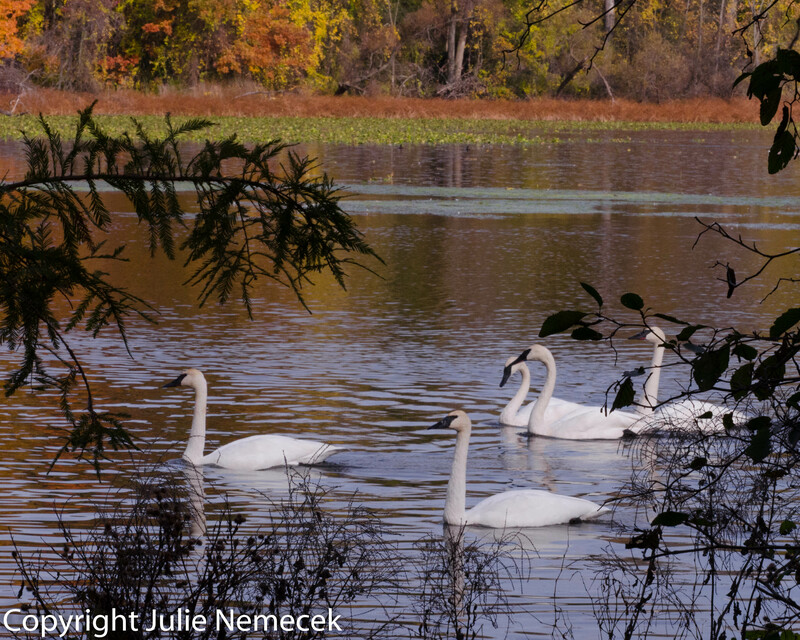 My spouse and I were able to visit the Kellogg Bird Sanctuary on Friday; her first visit. 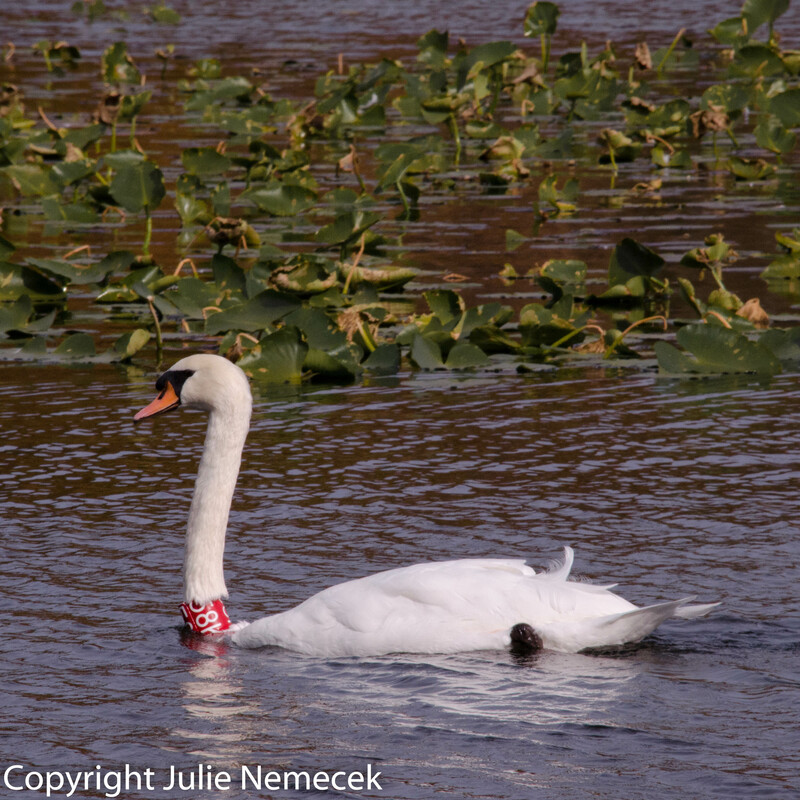 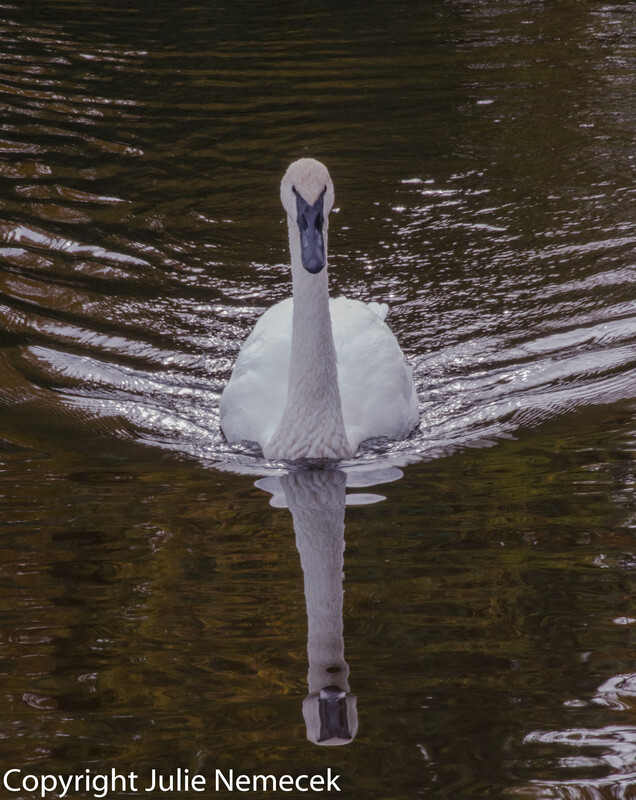 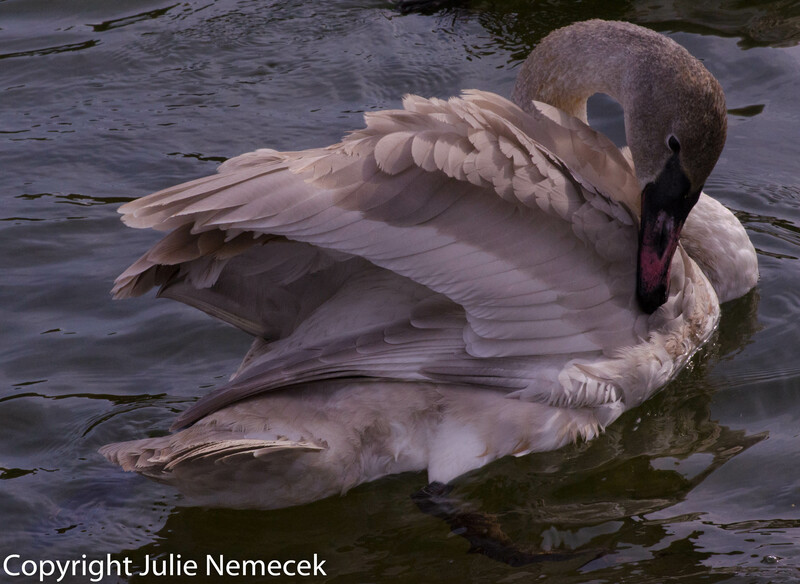 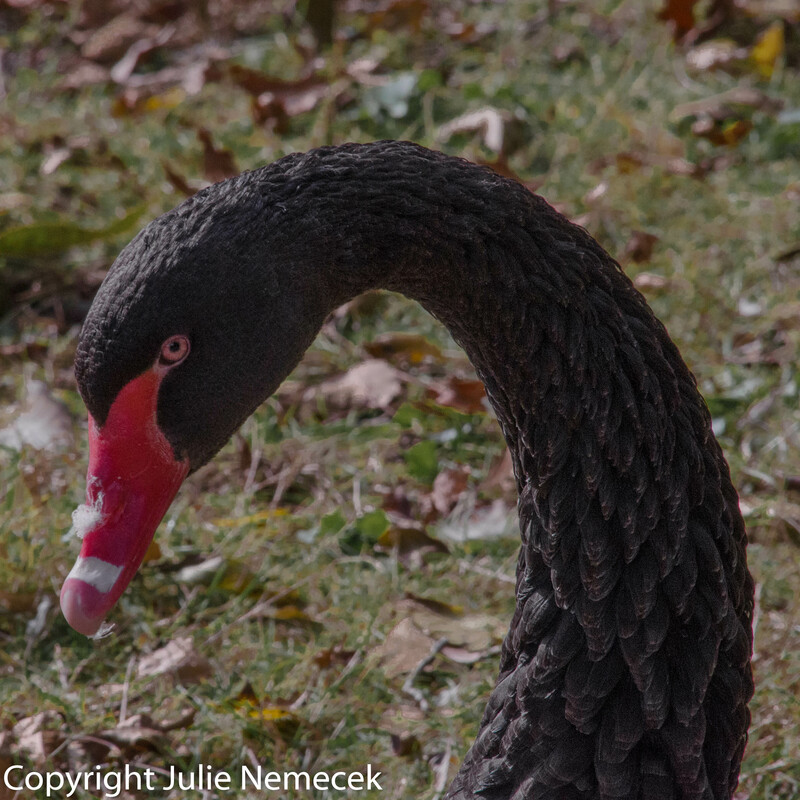 In addition to the most common swan – the Mute Swan – the sanctuary hosts Trumpeter Swans and an Australian Black Swan. 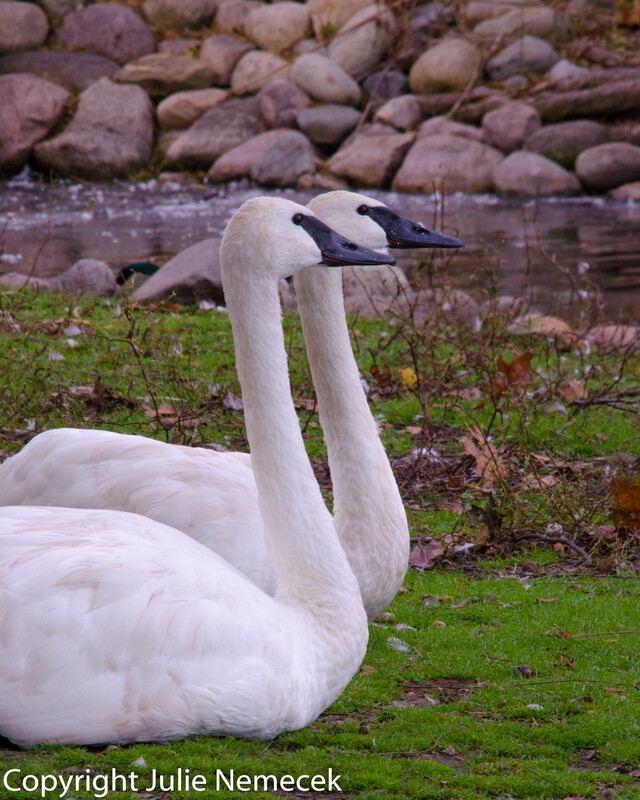 The Mute Swan has an orange beak and the Trumpeter Swan has a black beak (although immature Trumpeter Swans have a red and black beak). 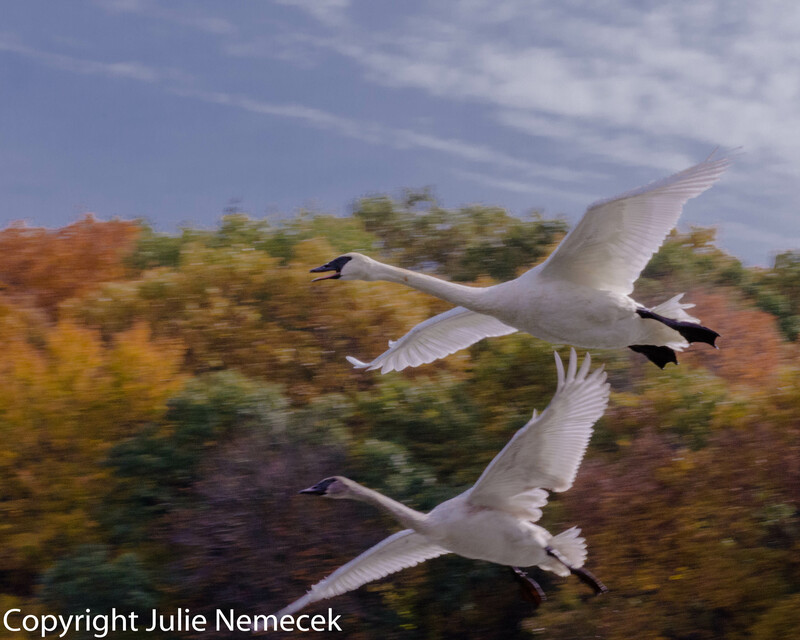 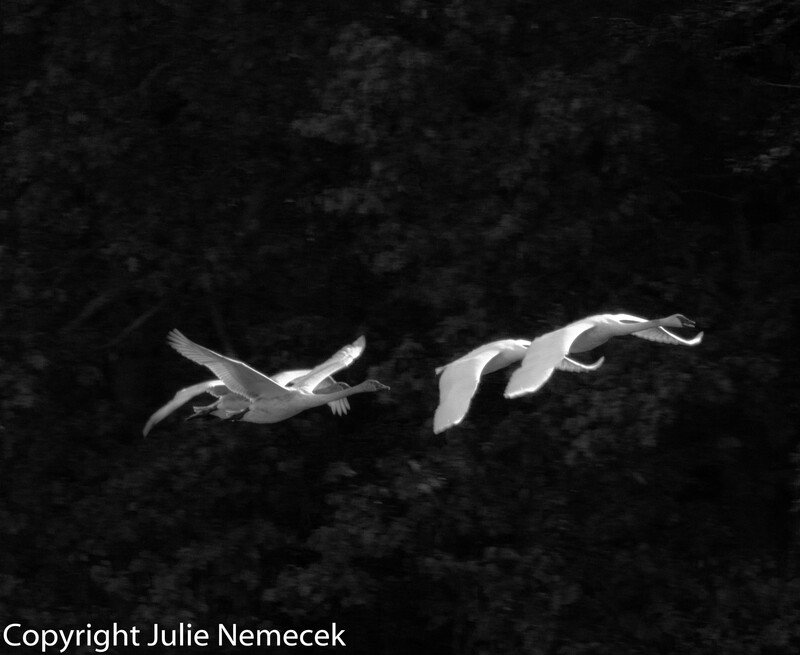 I enjoy the majestic beauty of the swans, especially in flight. 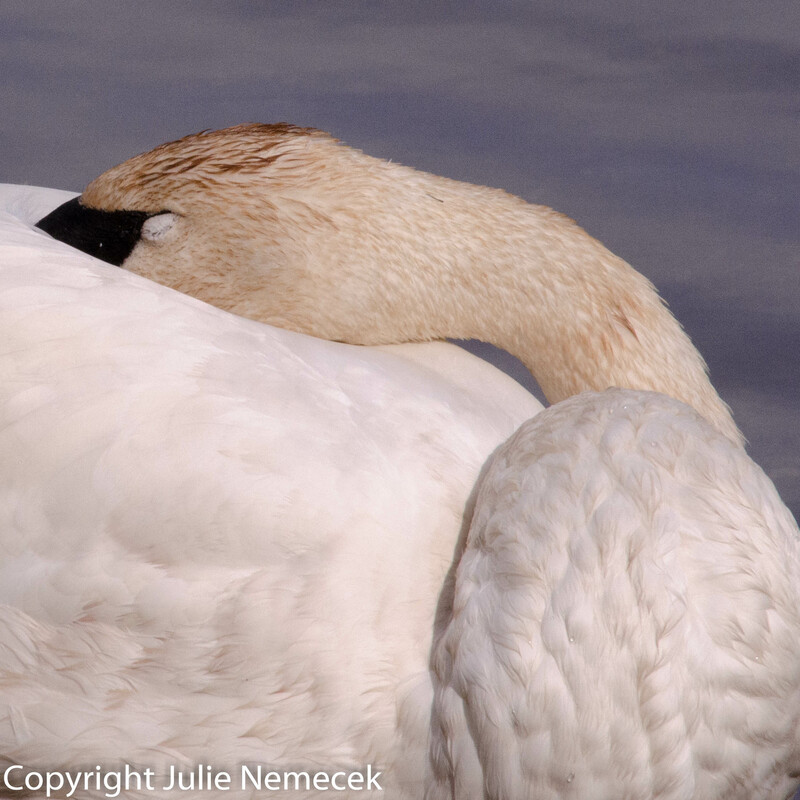 I hope you enjoy these swan images. 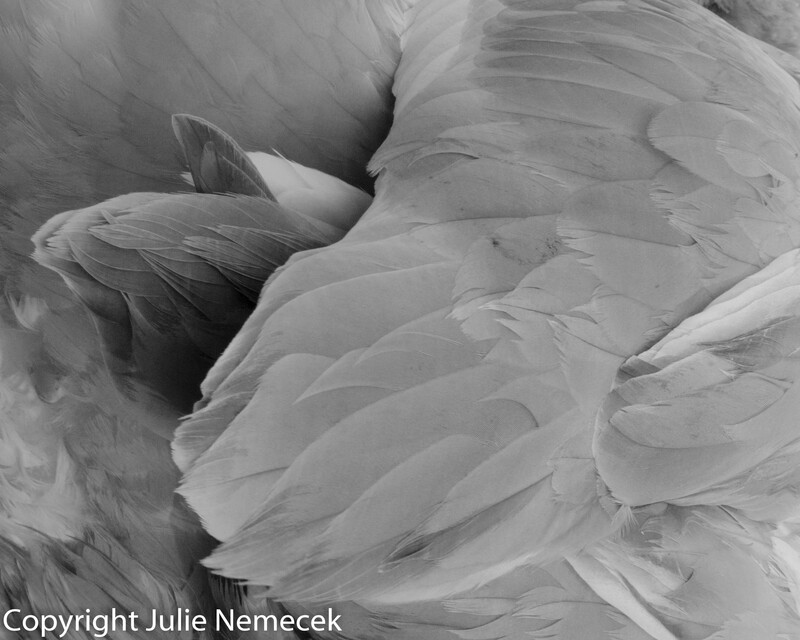 As always, your comments are appreciated. 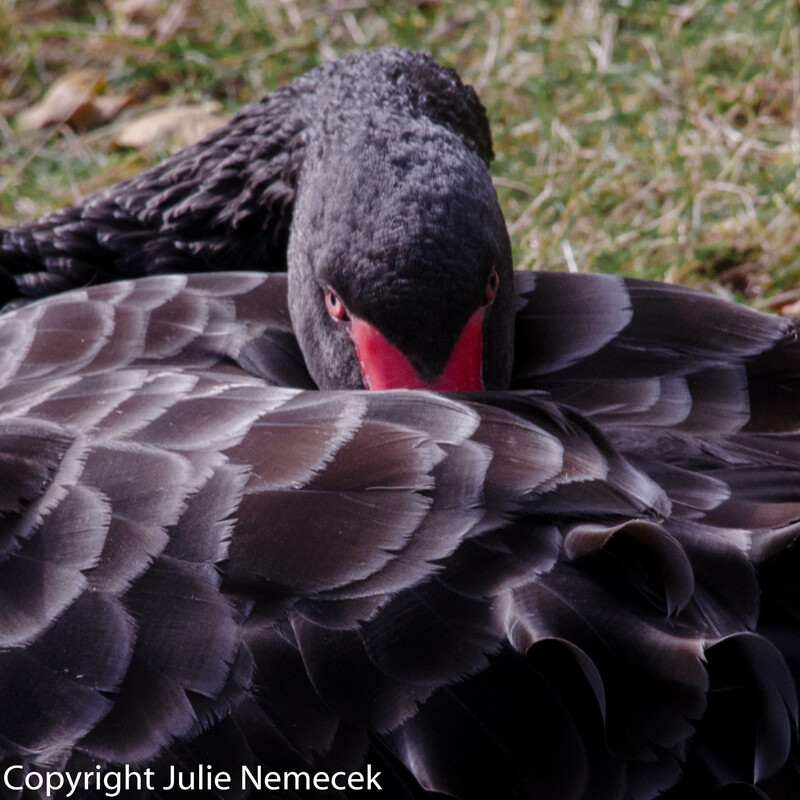 Black swan hiding is my favorite!